It’s time to address the already overdue issues related to the Indian fitness industry. Why Indians are not fit? Why Indians are generally not healthy? Why don’t we see fit people exiting out of the gym, despite of the fact that gym memberships are quadrupling year after year? Literally, you can find a fitness centre or Gym every kilometre in most metro cities of India like Mumbai, Delhi & Bangalore. Even tier two cities in India have witnessed a steady rise in those taking up Fitness. People sign up for gym memberships, pay for expensive diet plans, training fees, fitness wear and supplements, but still do not have anything to show for it. Many of the youngsters quit halfway when they fail to see any results. What is the reason behind this? Our society in general is highly Corrupt & Ignorant and the Indian fitness industry is no exception to this. Thieves, liars and frauds are everywhere and slowly, but surely, they are invading the sacred house of iron. It makes us sick to see unqualified & uncertified trainers or most of the so called “fitness gurus” imparting their “bro science” to the naive newcomers and beginners, robbing them of their money, time and trust. This causes more damage than these people will ever realize. It breaks the belief and faith beginners have on fitness. They tend to quit working out because of faults that are nowhere theirs. They have been misguided, misinformed and extremely exploited in the name of fitness. This needs to STOP. How do these FAKE Trainers misguide people? Alright so this is how it works. You are not necessarily an expert of anything unless you start and experience things by your own with time. You need a teacher to guide you through each step and tell you about the rights and wrongs of fitness. And that’s how some corrupt trainers take advantage. Everyone starts with the same workout schedule. No matter what their weight is, what their body type is and how much can they actually train? Do they have any health problems? How will their body react to a particular workout program and most importantly, WHAT IS THEIR FITNESS GOAL? If you are OVERWEIGHT: Cardio and abs for nearly forty five minutes and then any random machine type exercise, that’s about it. Goodbye for the day!! 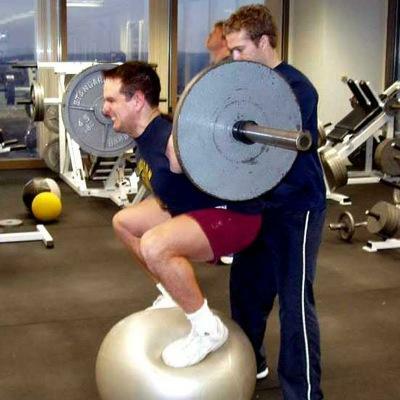 Very rarely will you find a heavy person being told to do weights. THIS IS JUST WRONG. If you are UNDERWEIGHT: Cardio is a big NO because you are already skinny and you’ll lose weight if you do more of cardio!! Absolute Nonsense!! Cardio is for endurance!! In fact weight training burns more calories than cardio. Finally, you’re given the same workout schedule to follow for weeks or sometimes even months. This is just not going to help. You will never see any results if you do not vary your workouts. Yes! We have all faced this at some point of time and we have all wanted ANSWERS!! But only a dedicated & passionate mind will go out and seek answers by themselves. Coming back to the rant, so you have been put through the same workout pattern for a couple of months now and still see no visible results. 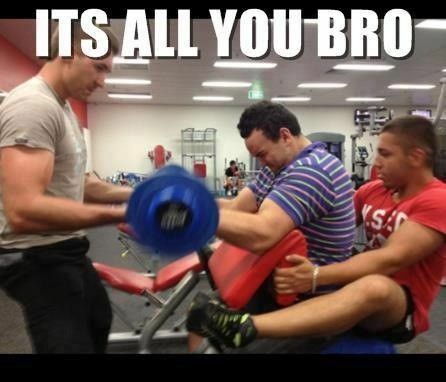 That’s when you approach your trainer aka guru. And now is the time when the guru unleashes the “Oh-You-need-this-health-supplement” card and pimps the unwitting newbie a cheaply manufactured fake supplement, which only does more harm than good. Such supplements are usually just a copy of major supplement brands. Many times the trainer offers personal training which of course is an additional expenditure to the already high membership fees to help his protégé generate the desired results. This is probably great if you have money to spare and then you start imagining “Now, I’ll see some results”. 1. The “Bro-Science” Fake Fitness Gurus. You can literally find a fitness guru in most of the gyms with an ugly paunch hanging out and then dishing out stupid advises. You might even wonder looking at his fitness levels if he himself has ever been fit? On this he might dish out some photos and stories from the past saying how a certain incident changed his life and how he went from being a Mr. Olympia to a meagre gym trainer today. Well, that is justified isn’t it? The very first sign you must look out for in a good trainer is that: THEY PRACTICE WHAT THEY PREACH. A fit trainer is your go to person to achieve your fitness goals. Every trainer must possess a valid certification duly given by authorized and accredited fitness institutions. It’s highly essential that gym owners hire only trainers with professional qualifications. A good trainer must check their client’s body type, metabolism, physicality and various other things before assigning those training programs and dietary regimes. Generalizing every over weight person into one category and the skinny one into another is counterproductive as every individual is different from the other. We believe that you should grasp as much knowledge about weight training & nutrition as much as you can, say,” what does this exercise do? What will that exercise do?”, what should you eat post workout and what should you eat pre workout and what is the best diet for weight gain or best diet for weight loss, all this so that nobody can fooI you. YOU HAVE TO BE YOUR OWN TEACHER. Here are some common myths that are completely false and are misleading a lot of people in India who take up fitness. Women should only stick to cardio and not touch the weights because weight training will give you muscles like men. One needs high testosterone levels to gain muscle. So, women (who naturally have high estrogen levels) should find it really hard to gain muscle as it is. Also, weight training is superior to any cardiovascular exercise in terms of expending calories. Do cardio and high repetitions to lose weight. For obese people this might work. But for people who are a tad bit above 20% or 25% body fat, this doesn’t work. One can lose by using heavy weights, low reps, high number of sets too, without doing any cardio provided they keep the rest periods down to a minimum. You need supplements to achieve your fitness goals. We believe many supplements like pre workout stimulants are non- essential to weight training. Solid physiques can be built without these expensive powders which will last longer and perform better than the physiques of the consumers of such products, provided you work harder.There is no supplement that is absolutely essential for a guy craving a decent physique and hence you can work with a regular diet too. Lower body movements snap your lower back. Exercises like the deadlift and squat which are essentially the most important lifts in weight lifting have gotten a stigma attached to them over time, that they ruin your lower back health. That’s why you should absolutely not do them. These exercises not only dramatically boost your strength and testosterone, they also strengthen your Lower back muscles, hence protecting when seen from a long term perspective. If you absolutely need to buy supplements, make sure you are buying them from a licensed dealer and not from a guy at your gym. Supplements are easily tampered and it’s advised not to buy them at cheap rates from certain outlets. Chances are that the supplement you bought at a huge discount is a fake one and always follow guidelines to detect a fake supplement. Always check the hologram and get it verified on the website of the manufacturer. Indian Fitness will continue to have issues and problems if we do not speak up and do not get to work ourselves. Trust no trainer or fitness guru completely. Always back up on everything and do a detailed research about every bit of information given out to you, be it on fitness, workouts or even supplements. There has been a huge inflow of fake supplements in India and this can only be curbed if you report such cases and bring it up to the notice of everyone. Always remember that no trainer or fitness guru will ever understand your body better than you and that is the key to achieving your fitness goal. Previous articleHow Many Calories Are There in a Gulab Jamun & Does It Have Any Health Benefits? Next articleHow Many Calories Are There in Uttapam & Does It Have Any Health Benefits?